This is a maintenance theme that will enable us to discover how our work on the Green-Schools programme has positively influenced environments worldwide while focusing our work on our oceans and seas. Why is the Marine Environment important? Our Green School Committee for 2018/2019 has been elected. We have been involved in the Green Schools programme for the last seven years, since we opened in 2011. We were one of the first schools to participate in the programme in their very first year of our existence! Our school received its first green flag for reducing litter and waste in our school in June 2013. Since then we have been awarded two more green flags under the following themes- energy and water. We had to work very hard for two years on each theme to be awarded the flags. We were awarded our first Green Flag for reducing our litter and waste. 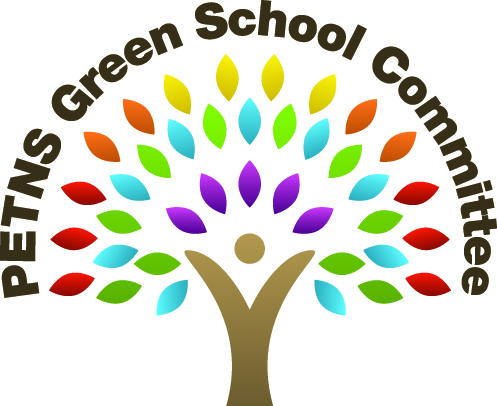 Firstly we established a green schools committee which consisted of pupils, staff and parents. The committee’s first initiative was to ban plastic bags and tinfoil in the school; every child was encouraged to bring a reusable lunch box instead. We also put in place a recycling bin for cardboard, waste paper, newspaper and office paper, and a recycling bin for batteries. We also began to compost our food waste and recycle our milk cartons. In each classroom we placed a basket and a bucket for paper waste and composting. Children were assigned the job of collecting the waste at the end of the school day and putting it into the larger recycling bins. We continue to do all of these things daily in our school. We received our second green flag in 2015 for energy. We focused on educating ourselves and our parents at home about energy saving. We did lots of lessons on energy saving in class. We looked at various ways in which we could be more energy efficient in school and at home, such as keeping outside doors closed to keep the heat in, not leaving electrical equipment on standby, turning off lights when rooms aren’t in use, walking, cycling or scooting instead of talking the car. We sent out a questionnaire to parents which helped to increase their awareness of their own energy use. In school we invited people to talk to us about energy saving and various classes also attended exhibitions on energy saving. Children in each classroom were appointed as energy monitors. Their job is to ensure that we save as much energy as possible by remembering to switch off lights and projectors/screens when we leave the classroom, turn off any electrical equipment and close the windows. The next flag we were awarded was for water. 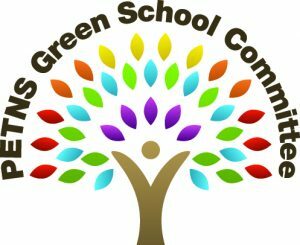 Again, as in previous years, the green school committee set out targets at the beginning of the year. We have water monitors in each classroom. We encouraged parents to try and reduce the amount of water in each toilet flush by putting a filled litre bottle into the cisterns of their toilets. As in previous years we ran various events to increase the pupils’, staffs’ and parents’ awareness of our green theme. Events included poetry and art competitions, action days, visits from outside agencies and drama groups. We learned about water saving in class and we sent out a questionnaire to parents which highlighted their use of water in the home, encouraging them to reuse water for gardening and to take short showers instead of baths. The Green-Schools Handbook outlines the seven steps of the programme in detail. To download a pdf copy of the Green-Schools Handbook on the Programme website. This directs the school’s involvement in the programme. Ideally, the committee includes students, teachers, non-teaching staff, management and pupils. This gives specific and achieveable targets with proposed completion dates that will show real success. Constant monitoring of the programme ensures that progress towards targets is checked, ammendments made where necessary and success celebrated. A publicitiy programme keeps the school and wider community involved and informed through displays, assemblies and press coverage. This is a statement of the school’s committment to environmental good habits. Courtesy of: Green Schools Office, An Taisce.